Get ready for the breath-taking sequel to The Diabolic - the novel that got everyone talking! But having power isn't the same thing as keeping it, and change isn't always welcome. The ruling class has held control over planets and systems for centuries and they are not going to give up their power willingly, especially not to a teenage Emperor and Nemesis, who they consider nothing more than a creature and certainly not worthy of being Empress. Nemesis knows she will protect Tyrus at any cost; he is the love of her life and they are partners in this new beginning. But she also knows she can't protect him by being the killing machine she once was. Instead she will have to prove the humanity that she's found inside herself to the whole Empire - or she and Tyrus may lose more than just the throne... they might lose their lives. Perfect for fans of Sarah J. Maas, Victoria Aveyard and George R.R. 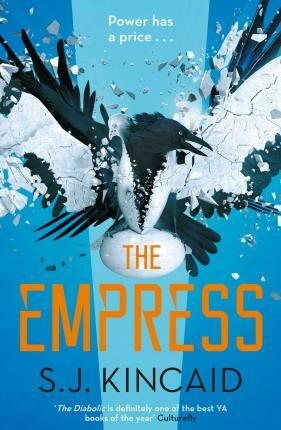 Martin, The Empress will take you on a thrilling ride, not letting go until the very last page.